It's never too late to see your passions come to fruition....even as a mom caught up in parenting. I've adored theatre my whole life. In high school, I was part of the ensemble of Anything Goes. While singing is not my strength, I won the role of an Angel, and took pride in that status. My family came to cheer me on, and it was an experience I'd not soon forget...and still makes me smile. In college (Hofstra University), I was the Arts Editor of one of the school newspapers, and when I graduated, my dream job was to become a professional Theatre Critic. But, when Frank Rich was hired by the NY Times that very year, my bubble was burst. He had scooped up the job I yearned for. So, instead, I took an entry level job in corporate America and freelanced on the side writing theatre reviews for the Queens Tribune and other local publications. While not prestigious like the Times, it kept me on the pulse of theatre, and I got to see many shows and do interviews with performers and other entertainment folk. I was in my element! Over the years, reality set in and the lure of a paycheck, and as I ultimately found my way to a career in public relations, my theatre critiquing took a backseat. I still attended shows but as a leisure pursuit. When my books were published, How to Meet a Mensch in New York and How to Marry a Mensch (decent person), I was thriled to be an author. As a little girl, I dreamed of writing books (I used to make them as a kid) and one day seeing my book in a store or library and to catch someone actually reading or buying it. That dream was realized! But, in the back of my mind, the thrill of theatre always loomed. I decided to explore what it might be like to become a producer. I reached out to some producers, and they were kind enough to meet with me. One, who has sadly passed away...way too young....became my cheerleader and would invite me to readings of shows so that I could experience that part of the process. Then, one day, out of the blue, he said to me MENSCH: THE MUSICAL. I'll never forget it! And, I said, what?! And, he resplied and repeated as if it were a no brainer. MENSCH: THE MUSICAL. And, I said, really?! He was suggesting that my books might be adapted for the off bway stage as a musical and that he had interest in the project. I was stunned...thrilled....and scared out of my mind. I didn't have playwriting experience. I took some classes and took at stab at it, but had no level of confidence in my ability. So, I tabled it...but never forgot. Parenting became my focus, and I launched MOTHERHOOD LATER...THAN SOONER after being tired of feeling like the oldest mom in the playground. I've worked at the site and organization tirelessly for about 6 years now (and continue to), and a friend one day said to me that it's my "platform." I knew what that meant...but didn't grasp what it was leading to or what specifically she might have been alluding to. Did she know something I had yet to discover?! She was right! One day, I got wind of a show that had just closed in LA called IN MOTHER WORDS. I reached out to introduce myself and didn't think I'd ever hear back from anyone. Then, I got a pleasant surprise. The co-creators/producers reached out to me via email and suggested we arrange a chat. I wasn't sure if they had an agenda or what I even had in mind, but at the very least, I wanted to know more about the production to see if MotherhoodLater.com might somehow support it. Clearly, we were curious about each other, and that's a good place to start. I had been writing theatre reviews for MotherhoodLater.com and working with marketing companies on a promotional level...since reaching moms and mom bloggers had become all the rage...and I know how to do it! So, I knew I could do that for IN MOTHER WORDS. What emerged from our phone conversation was so much more. I understood these women. I liked these women. They excited me. The conversation was stimulating, supportive, and I felt a connection to kindred spirits. The project was something I wanted ot be part of. Little did I know, they were planning to next bring it to NY. The name became MOTHERHOOD OUT LOUD, and they sent me the script. After a read and further discussion, and a meeting with the NY-based conceiver/producer, I was sold. Associate Producer became my title, and I've embraced it with everything I have! At 51, I'm coming home professionally. What a smart marriage of my parenting efforts and love of theatre. The universe planned it perfectly....even if I didn't see it coming. I was putting the steps into place on a gradual basis. 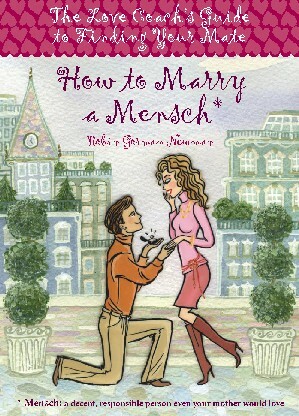 I'm now working on writing the book for MENSCH: THE MUSICAL, and I look forward to seeing that come to fruition one day. My spirit has come home. I'm psyched and feel like I'm on the career path I was meant for. Who knows what the future will bring? But, I do know that if I can do it, you can do it. What is it you've always longed for professionally? What steps can you take? It's certainly not easy even contemplating that when you're in the throes of everyday parenting. I get that, and sometimes feel like a chicken without a head, but if you want it badly enough, it may be done. So, I urge you to go for it when the timing is right, and aim high...even if it means taking babysteps alongside your child! 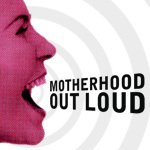 A BIG thank you to Susan Rose and Joan Stein, and the rest of the MOTHERHOOD OUT LOUD team for welcoming me with open arms!! A big hug right back at ya! And, if you haven't already seen the show, it's a must see for any mom or anyone with a mom! See it with your mom or daughter! You'll find it to be a bonding experience, with much to talk about. Stay tuned for MENSCH: THE MUSICAL.....coming one day to an Off Broadway theatre near you. This is great and inspiring!!! You are such an inspiration. I am finding myself later in life, as well.